What noises does a pouched rat make? Ever wondered what noises a Pouched Rat makes? Pouched Rats make a wide range of noises to express how they are feeling. Compared to their ‘fancy’ cousins (who tend to make very little noise) Pouched Rats are very vocal. 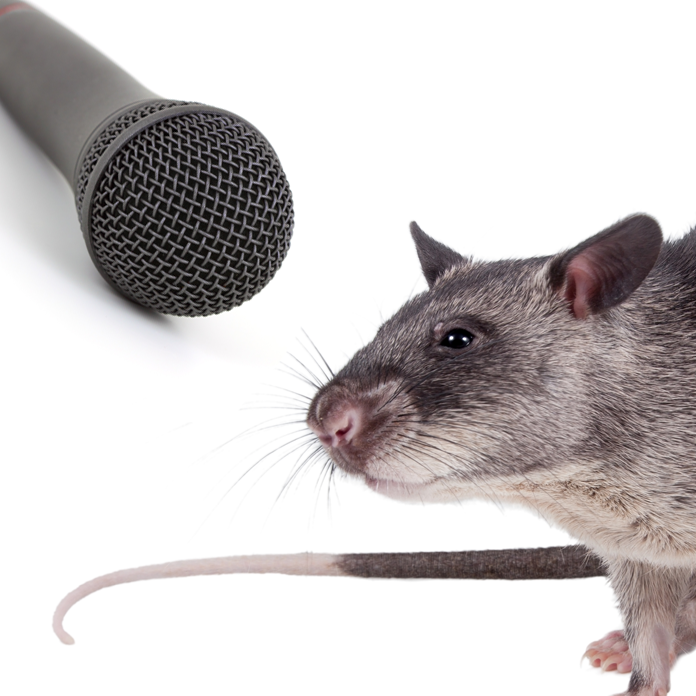 We have documented some Pouched Rat Noises for you all to hear. Send us any noises you capture that we have missed that we can add to this collection. Whistle:, normally when happy and content, if they are with their owner or being held you sometimes hear this noise. Huffing and Puffing: When a Pouched Rat feels hemmed in or threated, either by a human or another Pouched Rat, you may hear them making this noise. This is a common animal noise. (May be heard being made by humans outside your local bar at kick out time) Pouched Rats sometimes inflate their pouches with air to “echo” this sound and give it a louder more acoustic and some what threatening tone. Happy Yeek: This is a noise a Pouched Rat makes if he or she is woken up and something catches their attention and said something is pleasent. For example food cooking. For a Pouched Rat, being woken by the smell of food cooking must be as good as a human, being woken up to the smell of bacon after a night of heavy drinking. Protest / Annoyed Yeek: Not a happy Pouched Rat. They make this noise in protest, normally when being woken up, normally if being cleaned out during the day, or you have some friends round for a jolly knees up and didnt ask the Pouched Rats permission to put on some banging tunes. Popping / Intense sniffing: If a Pouched Rat finds a somewhat interesting smell, they go beyond your normal sniff. This noise is the Pouched Rat taking deep nosefuls of a particular smell and sounds like a succession of low pops. Sad / Whine: This seems to be a sound made by Pouched Rat when they are sad or otherwise disappointed. This sound may be heard when a bonded Pouched Rat is put back in their cage before they are ready. Next articlePouched Rats as Pets? Quick Questions FAQ!